Or, 'Dont Ask Me Why' - the film. 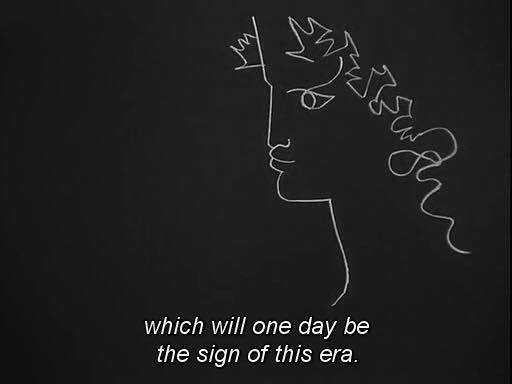 Poet, director and artist is Jean Cocteau himself. And the “Testament of Orpheus” is the one full-length film which proves it. The 1950’s experimental movie recently screened at Nitehawk Cinema paid homage to its French director by screening tales of M. Cocteau’s death and resurrection. The picture revolved around Cocteau’s own spiritual- esthetic search through a surrealist world of a series of ghosts, metaphors and strange coincidences for the favor of the goddess of wisdom. The path we were taken to was run by the ruins of certain districts in which he walked through. In the ruins we could see nothing but strange beauty, beauty which Cocteau portrayed poetically. The journey ended with death, but the trajectory before reaching it took us through a series of events in which he was most often found acknowledging his work with a quirky sense of humor. Many references to painters and versatile artists were recognized too, turning out for the screening to be more of a gem itself. Its complex and intellectualized path lacked spoken words as the film was projected as a silent movie. Nitehawk provided it as a live music experience having electronic and string instruments played by the band named Parlor Walls. Keys, saxophone, guitar and drums were preformed throughout the whole film, a collision of sounds that made the story itself be a lot more memorable. 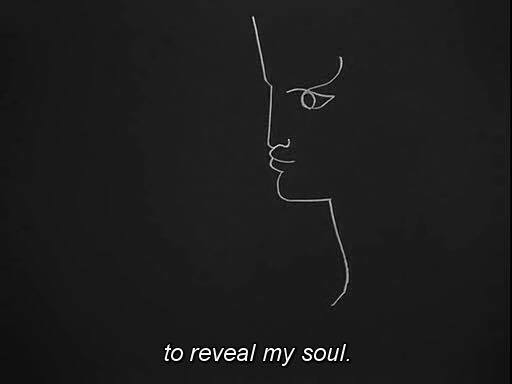 And as M. Cocteau succeeded on having had projected an ‘all in one’ work of art for its viewers, it was easy for the sound effects to also mend along well with the playful, scientific and illustrious film which its mystery conveys nothing but a curiosity to want to get to know M. Cocteau a lot more.